He goes on to give a poignant account of her early efforts to establish the Cause, and write and publish the textbook. He includes many of her letters to him, which reveal her tender concern for her students, and her untiring efforts to help them understand the Science she was teaching them. This very readable account of such important years in her life has been recorded first-hand, and with loving respect and admiration for her. The transcript is in two parts. Part One is his account of the years he knew her. 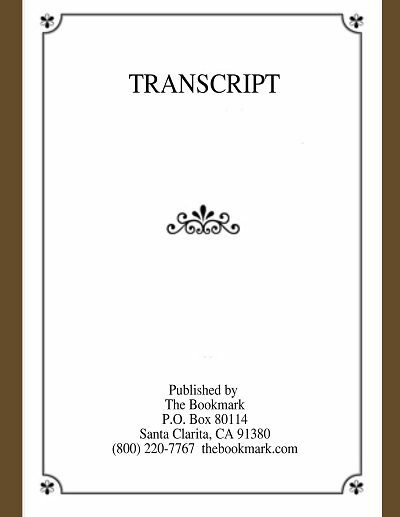 Part Two gives important early manuscripts which she gave to her first students and includes: Questions and Answers in Moral Science — Class of 1870; The Soul’s Inquiries of Man — Written for the Class of 1870; Spiritualism — Class of 1870; Individuality; Mediumship; Personal Sense — Written for the Class of 1875; Questions and Answers in Moral Science and The Science of Man (Revised Copy).